For the fifth installment in the super-successful series, we come to 2007’s Harry Potter and the Order of the Phoenix. 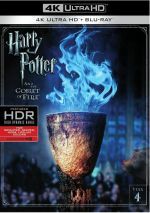 At the end of the prior flick – 2005’s Goblet of Fire - Harry (Daniel Radcliffe) suffered a near-fatal encounter with the evil Lord Voldemort (Ralph Fiennes). It turns out that many don’t believe that Voldemort has returned, and they seek a way to suppress Potter’s claims. One potential path emerges after an event that launches Phoenix. During summer break, vicious spirits called Dementors attack Harry and his loutish cousin Dudley (Harry Melling). Harry uses a spell to ward off these creatures. Since authorities forbid the underage use of magic outside Hogwarts grounds, this lands Potter in hot water with the Ministry of Magic. Minister Cornelius Fudge (Robert Hardy) pushes for Harry’s expulsion from Hogwarts, but with the aid of headmaster Dumbeldore (Michael Gambon), Harry retains his spot in school. Other problems beset Harry at Hogwarts, partially due to the fact so many don’t believe his claims about Voldemort’s return. Most of the kids harass him, though Potter gets a vote in his favor when his godfather Sirius Black (Gary Oldman) reveals the existence of the Order of the Phoenix, a secret society created when Harry was a baby. It was created to wage the good fight, especially against Voldemort. This may give Harry some moral support but doesn’t offer much else to salve his woes at Hogwarts, especially when Fudge’s right-hand biddy Dolores Umbridge (Imelda Staunton) becomes part of the faculty. She takes over the Defense Against the Dark Arts class but doesn’t actually teach the kids spells. She seems downright down on magic in general, and the prim, uptight Umbridge puts lots of oppressive rules into place. She also takes pleasure in Harry’s punishment; when he continues to insist that Voldemort is back, she tries to teach him a lesson that produces physical scars on Potter’s hands. Harry and his friends can’t overtly fight against the system, as even Dumbeldore seems powerless to oppose Umbridge due to her connections. However, they train in private. They call themselves “Dumbeldore’s Army” and teach each other spells that could be used to ward off Voldemort and his minions. Phoenix follows the problems with Umbridge’s rule at the school as well as Voldemort related developments. When I reviewed Goblet, I referred to it as the first truly satisfying Potter flick. I found aspects of the first three that I liked, but I also encountered many problematic elements as well. I admit I’ve never really become engulfed in the World of Harry, and the initial three movies didn’t encourage me to embrace his adventures. Goblet didn’t make me a Harry-phile, but at least it gave me more of a clue about why the series generates so much positive attention. Phoenix made it two in a row, and this may be the best of the bunch. It certainly serves as the darkest of the first five Potter flicks, as the opening sequence seems almost nightmarish in its intensity, and the film doesn’t often let up after that. No, I doubt anyone will confuse Phoenix for Se7en or Silence of the Lambs, as it remains a “PG-13” flick that acknowledges the youngsters in its audience. However, it includes many fewer goofy or overtly comedic moments than usual, and the film’s overall tone remains pretty dark. Umbridge presents arguably the series’ most chilling character, if just because she best connects to real life. It’s hard to be all that upset by a noseless goof such as Voldemort, for while Fiennes does very well in the role, he clearly exists solely in the world of fantasy. Not so Umbridge, who – despite her Jackie Kennedy on steroids wardrobe - looks like she just stepped out of a job with the Bush administration. Phoenix wears its politics on its sleeve, as one can easily stretch the manner in which authority suppresses freedom to match with W and his cronies. You don’t have to make that jump if you don’t desire, but I think the film’s political points become obvious. And those help allow Umbridge to become such a disturbing and unlikable character. She maintains a shiny surface; what with her pink and purple outfits – practically the only colors found in the gloomy atmosphere of Phoenix - and her near-constant (and fairly demented) grin, she delivers her lessons with an aura of cheer. That factor makes Umbridge’s inherent nastiness all the more upsetting. She’s such an improbable villain that her smug arrogance and refusal to consider any viewpoints other than her own become even more unsettling. Director David Yates manages to deliver unquestionably the most efficient and streamlined Potter to that point, as Phoenix clocks in at just a little more than two and a quarter hours. In the real world, that’s a long movie, but by Potter standards, it’s a featurette. And it feels a lot shorter too – in a good way. 2001’s Sorcerer’s Stone was only 14 minutes longer than Phoenix but it seems like it takes much more time to get where it wants to go. The prior Potter films tended to meander and try too hard to be all things to all people. Rather than focus on what translates to the big screen, I think the directors worried too much about the Harry-philes and attempted to pack in every little tidbit from the books that they could. That may have pleased the diehards, but it often didn’t make for good cinema. With Phoenix, that trend could have intensified, as the original novel runs an insane 900+ pages. That the film pares this down to less than two and a half hours comes as a minor miracle – and that the result works so well and makes so much sense seems even more amazing. This isn’t the bloated, rambling Harry of Chris Columbus’s first two movies. Potter’s worked down to fighting weight, and he leaves out the extraneous details. Phoenix embraces the meat of the story and worries less about throwing in every little subplot or detail from the book. Again, I expect this may bug some fans, but I think it’s the right decision. Unless Warner wanted to turn Phoenix into two separate films, something had to give. The fact that the end result flows so well says to me that the suits made the right decision. It also means that Phoenix is maybe the first Potter to really focus on Harry himself. In the prior flicks, he often felt like a supporting character and an afterthought. Part of that stemmed from their bloated nature. The filmmakers let the magic of Hogwarts dominate and forgot that they needed to tell an actual story. Since plot comes to the forefront in Phoenix, that means Harry also truly takes the lead. He made steps in that direction during Goblet, and Phoenix demonstrates more growth in that area. It helps that Radcliffe has slowly turned into a believable performer. I didn’t like his work in the first three flicks, but I thought he finally showed signs of life in Goblet. For Phoenix, Radcliffe more than holds his own. He demonstrates true range and allows Harry to actually turn into an interesting character, not just a cute kid with a funky scar. All of these factors make Harry Potter and the Order of the Phoenix the best of the film’s first five flicks. Oh, I can find problems with it, for some parts of the narrative aren’t as clear as I’d like, and I think the visual effects still aren’t very good. These concerns aside, there’s much more to like in Phoenix than to dislike, and the film prompted me to look forward to future chapters. 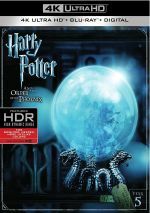 Harry Potter and the Order of the Phoenix appears in an aspect ratio of approximately 2.40:1 on this 4K UHD disc. Like the other Potter 4Ks, this became a strong presentation. Definition remained top-notch, as nary a sliver of softness materialized. A couple of effects shots seemed a smidgen tentative, but the vast majority of the film brought us tight, concise visuals. No issues with jagged edges or shimmering occurred. Edge haloes stayed absent, as did print flaws. Like I mentioned in the body of my review, Phoenix lacked many prominent hues. Umbridge’s outfits and room tended to be the most dynamic tones in the flick, though the colors stayed pretty subdued, with an emphasis on orange and teal. Within the production design, though, the hues looked good, and the purples and pinks looked pretty rich. Blacks were dark and dense, while shadows seemed clear and smooth. This was a solid presentation that deserved an “A-“. Similar thoughts greeted the DTS-X soundtrack of Phoenix. Downconverted to DTS-HD MA 7.1, the variety of action sequences – especially the climactic one – created a lively sense of environment in which different elements zipped around the room. These opened up matters well and allowed the action to become vivacious, and the track remained engaging, even during quieter scenes. Music showed good stereo imaging, and environmental elements formed together in a smooth, natural fashion. All of these made the soundfield quite good. Audio quality always satisfied. Speech was natural and concise, without edginess or other issues. Music sounded bright and vibrant, while effects came across as tight and powerful. Bass response appeared deep and firm. Across the board, this was a very good soundtrack. How did the 4K UHD compare to the film’s original Blu-ray version? Audio showed a bit more heft and involvement, while visuals offered superior colors, blacks, accuracy and clarity. 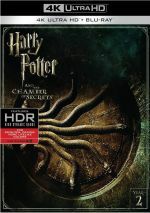 The first four Potter 4Ks topped their Blu-ray counterparts, and Phoenix continued that trend. Though no extras appear on the 4K disc itself, the two bonus Blu-rays come with ample bonus materials. These duplicate the two platters from the film’s Ultimate Edition. On Blu-ray One, we find the In-Movie Experience, a piece with picture-in-picture interviews from actors Daniel Radcliffe, Rupert Grint, Alfie Enoch, James and Oliver Phelps, Emma Watson, Bonnie Wright, Evanna Lynch, Katie Leung, and Matthew Lewis. The “Experience” looks at cast and performances, stunts, effects and action, story/character issues, sets and locations, and other experiences. The fact that we hear from no one other than actors – and just the Hogwarts students at that – gives the “Experience” a particular perspective, and it’s a fun one. No, we don’t get a ton of hard data related to the film’s creation, but we find a mix of interesting stories from the shoot and other details. In particular, Radcliffe proves to be a delight; he tells a lot of good tales. This becomes an enjoyable way to learn about the movie. Viewable as part of the “In-Movie Experience” or on their own, we find 28 Focus Points. These run a total of one hour, three minutes and 10 seconds and include “Dementors at Little Whinging” (3:40), “Grimmauld Place” (3:04), “Tonks’ Face Transformation” (1:54), “The Ministry of Magic Atrium” (3:00), “Neville’s Cactus” (1:10), “Rupert’s Giggle Fits” (1:23), “The Paper Swallow” (1:30), “Professor Umbridge” (2:09), “Professor Umbridge’s Spies” (1:30), “Professor Umbridge’s Office” (2:24), “The Thestrals” (3:05), “Hog’s Head Tavern” (1:06), “The Room of Requirement Door” (1:32), “The Room of Requirement” (2:25), “The Inquisitorial Squad” (1:39), “Harry and Cho Under the Mistletoe” (2:16), “Kreacher” (3:10), “Azkaban Prison” (1:41), “The Mirror Explosion” (1:58), “Grawp” (1:48), “The Weasleys’ Fireworks Display” (3:02), “The Explosion of Decrees” (1:57), “The Centaurs of the Forbidden Forest” (3:37), “The Centaurs Take Professor Umbridge” (2:06), “The Thestral Flight” (1:52), “The Hall of Prophecy” (2:41), “The Choreography of Magic” (2:17), and “A Wizard’s Duel: Voldemort Vs. Dumbledore” (3:02). Across these, we hear from Radcliffe, Grint, Lewis, Watson, Enoch, Leung, ILM VFX animation supervisor Steve Rawlins, VFX supervisor Tim Burke, ILM VFX supervisor Tim Alexander, ILM character rigging supervisor Eric Wong, ILM CG modeling supervisor Ken Bryan, production designer Stuart Craig, set decorator Stephenie McMillan, producers David Barron and David Heyman, Framestore CFC VFX supervisor Craig Lyn, director David Yates, MPC VFX supervisor Greg Butler, MPC supervisor Charley Henley, creature and makeup effects designer Nick Dudman, DNEG VFX supervisor Paul Franklin, director of photography Slawomir Idziak, SFX supervisor John Richardson, DNEG 3D supervisor Eamonn Butler, ILM digital production supervisor Robert Weaver, wand combat choreographer Paul Harris, and actors Tom Felton, Imelda Staunton, Helena Bonham Carter, Ralph Fiennes, Gary Oldman and Jason Isaacs. The “Points” examine creature design and various effects, sets and production design, cast, characters and performances, lighting and photography, and a few other topics. Due to their brevity, you might worry that the “Points” would be superficial. However, they’re not, mostly because each one tends to focus on a pretty specific subject. They don’t attempt to tell you about all the sets in two minutes; instead, they let you know about a particular set in that span. This allows for pretty good depth and makes the “Points” consistently interesting and informative. Over on Blu-ray Two, we start with an “on the set” featurette called Trailing Tonks that goes for 19 minutes and 25 seconds. It follows actor Natalia Tena as she wanders around the movie’s sets. We watch her go through hair and makeup and then checks out various aspect of the production. This is a decidedly fluffy look at Phoenix, but it gives us an interesting perspective and entertains as it goes. I must admit it doesn’t make sense that she gets her hair and makeup done just to give us a tour, though; I figured the program would end with her at work, but we never see that. Harry Potter and the Magic of Editing provides two components. 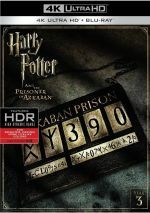 It starts with a five-minute, 19-second featurette that provides remarks from director David Yates and editor Mark Day. They discuss their work together and get into some specifics about particular scenes. This proves to be a tight, informative chat that tells us a lot about editing in its short running time. Once the featurette ends, we can create our own edit of a Phoenix scene. I like this piece in theory but I think the reality disappoints. It’s very limited and doesn’t allow for a lot of creativity. It’s fun to see some alternate angles of the scene in question but otherwise it’s not particularly engaging. In addition to two trailers, we find nine Deleted Scenes. Taken together, they run a total of 10 minutes, 57 seconds. The first is really just an alternate angle; it shows Professor Trelawney’s awkwardness during Umbridge’s introduction at the Hogwarts banquet. It’s cute but would’ve been a terrible choice to include in the movie, as it completely distracts from Umbridge’s fascism. Trelawney also comes to the fore in one of the others, as we see an alternate version of the scene in which Umbridge demands a prophecy from her. This one might actually be a little better than the segment in the final flick, mostly because it better explains why Trelawney can’t produce a vision for Umbridge; in the film as released, Trelawney simply looks incompetent. An extension to the scene where the kids take Umbridge to the forest either makes her look more sympathetic or nuttier – I’m not sure. It’s not particularly useful, though, so it was a good cut. All the remaining snippets tend to be minor bits that don’t stand out enough to merit individual mention. They’re interesting to see but not memorable. 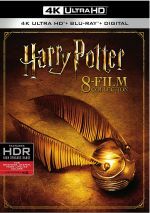 Creating the Magical World of Harry Potter Part 5: Evolution runs 57 minutes, 16 seconds and features notes from Heyman, Grint, Radcliffe, Watson, Isaacs, Richardson, Craig, Barron, Yates, Dudman, Lewis, Felton, James and Oliver Phelps, author JK Rowling, filmmakers Chris Columbus, Alfonso Cuaron and Mike Newell, Senior VP/Managing Director, Production Roy Button, hod modeler Pierre Bohanna, conceptual artist Andrew Williamson, screenwriter Michael Goldenberg, and actor Robbie Coltrane. “Evolution” looks at how the Potter franchise leapt to the big screen, adapting the first book and challenges connected to launching a movie franchise, use of Leavesden as the main soundstage and designing Hogwarts, casting, and changes/development of the series as it progressed over the years. “Evolution” is something of an odd beast. Yes, it traces the series’ development, but not in a particularly consistent manner. It seems like it should concentrate on the behind the scenes work of the producers and that sort of material, and we do get some of that. However, it also gets into production nuts and bolts like locations and set development. This leaves “Evolution” without a distinctive niche. It’s too general to be a great examination of the various productions, but it’s too specific to be the broad overview we might expect. “Evolution” is enjoyable, but it doesn’t fit into a neat enough box to work; we see a lot of this material elsewhere across the various movies, so I’m not sure what purpose it serves. Four more programs follow. Hosted by Ben Shephard, Harry Potter and the Order of the Phoenix: Behind the Magic lasts 46 minutes, 46 seconds and includes comments from Radcliffe, Grint, Watson, Yates, Craig, Heyman, Oldman, Staunton, Lynch, Dudman, Burke, Wright, Carter, Lewis, Fiennes, Isaacs, Harris, Burke, Leung, and actor David Thewlis. We take a tour of the film sets and hear about a good mix of movie topics connected to Phoenix. We find performance notes as well as comments about sets, effects, and other areas. We’ve heard a fair amount of this info elsewhere, and “Magic” goes down a promotional path, but it still gives us a reasonably informative overview. Building the Magic: The Sets of Harry Potter fills 20 minutes, 22 seconds with material from Heyman, Craig, Radcliffe, McMillan, Yates, Staunton, Franklin, Lewis, Idziak, Grint, Richardson, Butler, and Henley. As implied by the title, this show concentrates on the movie’s sets, but given the fantastic world of Potter, this doesn’t just concentrate on physical construction. It also gets into a lot of visual effects required to put together the locations, and we find many related notes. Again, we’ve heard some of this elsewhere, but “Sets” adds more depth to the previous pieces, so it’s a good exploration of the subject matter. In the 23-minute, 13-second Harry Potter and the Order of the Phoenix: The Rebellion Begins, we hear from Radcliffe, Watson, Grint, Staunton, Oldman, Yates, Heyman, Lewis, Leung, Barron, Fiennes, Carter, Lynch, Tena, Burke, Dudman, Craig, McMillan, Harris, Isaacs, costume designer Jany Temime and actors Tony Maudsley and Michael Gambon. “Begins” covers story and characters plus a few design/effects choices. Much of “Begins” feels redundant, as a lot of it just reiterates the story, and the other production notes get covered elsewhere. It’s one of the disc’s less interesting programs, largely because we’ve already heard so much of the material. Lastly, Harry Potter and the Order of the Phoenix: Fulfilling a Prophecy occupies 13 minutes, two seconds with info from Radcliffe, Watson, Grint, Staunton, Oldman, Yates, Heyman, Lewis, Leung, Barron, Fiennes, Carter, and Lynch. “Prophecy” just offers another generic promotional overview of the film. We’ve heard most of it before – literally, as the same clips show up in other places. You can safely skip “Prophecy” and not miss anything.